As soon as you run the command Flx or FlexibleDuct, the program prompts you to specify the Diameter & the Number of fins. 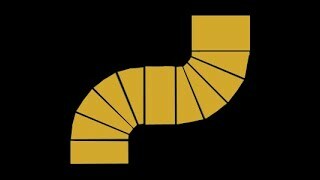 After that you should select Lines, Arcs, Splines or LWpolylines in order to convert them to Flexible Duct. Once you have downloaded the app, run this command to obtain the machine codes in the command line and send an email to us to receive the full license. Type Flx or FlexibleDuct to start the program.